As I posted earlier, Minnesota Twins manager Ron Gardenhire’s baseball card might not have much value, but his managing does, the Twins agreeing this week to extend his contract for another two years. Of all the stories I read about Gardy’s new deal, I couldn’t find a single one that mentioned details of his salary (and that might warrant a separate post about the state of journalism). After a general Internet search, I found a website that said Gardy is making $1.3 million per season. I’m not sure how accurate that is, but it will have to do for now. I had doubts about an extension. After three straight losing seasons, and not just a few games under .500 but seasons in which the Twins lost nearly 100 games, I thought the Twins and Gardenhire might go their separate ways. Prior to the end of the season, the Chicago Cubs and Seattle Mariners were thought to be interested in meeting with him. And could you blame Gardy if he wanted to move on? He established a winning tradition with the Twins when he took over in 2002, bringing home six division titles in his first nine seasons. He’s two wins shy of 1,000 for his career and he’s one of the longest tenured managers in baseball. But the past three season have been hard, the team losing 99 games in 2011, 96 games in 2012 and 96 games in 2013. This was largely due to injuries, free agents that didn’t pan out, some bad trades, still maturing young talent and a rotation that hasn’t been the same since Johan Santana left. But the Twins pride themselves on a certain amount of continuity and stability. They’ve had two managers since 1986, plus they’ve retained longtime general manager Terry Ryan and pitching coach and Everett, Wash., native Rick Anderson. I guess one could make the argument that the same people have been there too long and that it’s time to clean house. Gardenhire, somewhat surprisingly, said he’s glad to be back for next season. Two more losing seasons, though, and Gardenhire will be out the door, for sure, and I suspect that if the Twins don’t noticeably improve in 2014, he may not be around for the second year of the extension. 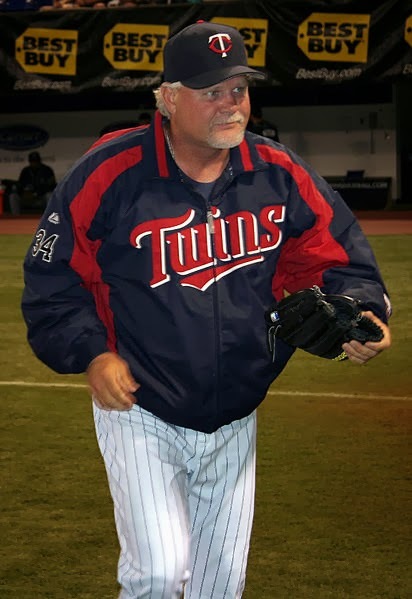 Photo credit: Public domain image of Ron Gardenhire, via Wikimedia Commons.